Home > Hunting > Is This The Best Hunting Rifle? Is This The Best Hunting Rifle? If you are new to hunting, then it’s perfectly normal to want to know what the best hunting rifles are to use for different types of wild game. Fortunately, the information within this article should prove to be highly valuable to you, because we’re going to go over the best rifles and calibers for the most major types of game in North America. So what is the best overall hunting rifle, one that you could use for any and all purposes? Honestly, a Ruger M77 Hawkeye in .30-06 Springfield may be the best overall choice. It’s reasonably priced, usually sold between $600 to $750 depending on the model, and it utilizes the durable and proven Mauser action. The .30-06 is also a proven and popular round that can be found anywhere, and is considered to be a great ‘all use’ round that can be used on almost all North American big game. If you already have a specific hunt or animal in mind, then keep reading. Below we outline our personal favorites for each specific type of game. One thing to keep in mind however, is that there aren’t any iron-clad imperatives out there. There are lots of differing opinions, based on individual experiences and specific situations. The point of this article isn’t to supersede everything else under the sun, but rather to give you the best hunting rifles to begin your journey with. As you become more experienced, you will develop your own favorites. While there are people hunting deer with lever action rifles and even AR 15 style semi automatic rifles, a good bolt action is superior for the weight and accuracy. The 243 and 270 are very popular calibers for deer hunting, but .308 is still the preferred caliber (With 30-06 coming in at a close second). The Remington 700 has been the most popular deer rifle in the US for some time. It’s a time-honored classic at an affordable price. Remington 700s are reliable, accurate, and available in multiple calibers and configurations. Our personal favorite is The Model 700 American Wilderness Rifle, in .308 (as mentioned above). It features an adjustable trigger, a free floated stainless steel barrel, and a fiberglass stock for durability. The stainless steel barrel and rifle action are protected by Cerakote for the toughest environments. Cerakote finish protects the rifle from rust and brush. Freedom group that purchased Remington has had a few quality issues in recent years. Higher cost from the Remington name. The Remington 700 is the preferred rifle for hunters that want a proven design, large aftermarket support and accuracy of a 5R barrel. The Remington 700 has been used to hunt every game animal, to compete in all the major matches, and has even been chosen by the US military as their bolt action rifle since the 1970s. It is hard to argue with the pedigree. Stalking an elk through the backcountry is an iconic tradition of American big game hunting. The traditional rifle was a Winchester Model 70 in 30-06. Unlike the still hunting of deer or coyotes however, elk are best hunted using a spot and stalk method. This means you’ll likely be packing your rifle (and other gear) up hills and through dense timber. Luckily, Winchester released their Featherweight rifles, for exactly this scenario. The Winchester Model 70 Featherweight comes in at 7 lbs in 30-06, and is a joy to shoot. The M.O.A. trigger system is crisp, breaks cleanly, and allows the rifle to easily be adjusted to your shooting. It uses a controlled feed to increase accuracy and reliability. It has a free-floated barrel and a beautiful walnut stock. Winchester’s rifle stands as an American classic. While its military days are behind it, the fit of the stock, accurate barrel and wide caliber selection continue to make it a mainstay for hunters. Recoil pad for heavy calibers. Winchester Model 70s are a classic firearm. The lightweight construction of the Featherweight makes it perfect for stalking. it shoulders quick, for the wary Elk that so often skirt the tree lines, while the trigger breaks like glass for the longer range shots. Hogs are an interesting bunch. They move quickly and are aggressive foragers. At times they will charge hunters, and are generally a wildcard animal. Because of their disruption of commercial agriculture, they are oftentimes considered a “nuisance” for farmers. This, in turn, means that there are frequently fewer regulations and limits associated with these hunts. Hog hunting requires a rifle that can quickly fire multiple rounds, is nimble, and quick to get on target. In other words, a semi-automatic. The POF Revolution is perfectly suited to the task. Chambered in .308, it offers more stopping power and accuracy than its 5.56/.223 AR 15 cousin. While this makes it a bit heavier, the additional weight is hardly a factor, because hog hunting usually doesn’t require a lot of hiking. Hogs forage close to human habitat meaning you don’t need to lug your rifle though the wilderness to find prime targets (in fact, it’s often done with quads, Razors, or out of a truck). Night hunting optics are a major benefit for the twilight foraging animals. Using thermal or night vision scopes for nocturnal hunts is where the AR’s military heritage really helps it shine. The POF Revolution has been a consistent winner of Rifle of the Year. Just 7.3lbs of exquisitely machined perfection, its light weight allows for successive shots without fatigue. The AR platform allows simple modifications, and mounting of scopes and accessories, so you never need to worry about a gunsmith. If you are looking for a great hog rifle, the POF Revolution is for you. If you are looking to purchase just one gun for hog hunting, the POF Revolution is the one for you. A great AR 308, it allows simple caliber swaps by changing your upper. Coyotes are more elusive than hogs. While hunting them doesn’t require big calibers or magnum variations, their speed and aggressiveness is extremely unique, and even when coming into calls they often surprise hunters. Long range shots aren’t advised because they are such a small and fast target. This is why many of us today are using the AR-15 as our rifle of choice. The AR-15 is incredibly ergonomic, accurate, and easy to shoot. This makes it a good choice for coyotes and other similarly sized prairie game. When talking about the AR-15, Colt, Armalite and Daniel Defense are major players, but if you really want a solid, low cost and high value rifle, the M&P 15 from Smith & Wesson is your gun. It has high accuracy and low cost for a standard AR. Several States specifically restrict the AR-15, or at least don’t view the AR-15 as a permissible hunting rifle (check your local laws). The AR-15 is one of the most common rifles in the United States. Smaller shooters especially benefit from the adjustable stock, simple ergonomics and soft recoil. They are fantastic for coyote hunting. If you don’t own an AR, it is time to look into one. Bear hunting is not for the faint of heart. It will take you to some of the most rugged terrain and extreme conditions in the world. The bear hunter needs gear that can handle a serious amount of abuse, and keep on tickin’. A well-loved, well-used bear rifle will find itself thrown in bush planes, boats, horseback scabbards, and rattling around in the back of Toyota Hilux trucks. It will be misted, rained, and snowed on. Because a bear is such a powerful and potentially dangerous animal, it’s imperative that the rifle and cartridge you use can also lend themselves to self-defense, in potentially life-threatening situations. The Ruger Guide Gun is just what the doctor ordered. It is a bolt-action rifle with open sights and a corrosion resistant stainless steel finish. It has a laminate stock that’s made for business, not sitting in a museum display case. It comes chambered in large calibers, and is designed to be brought up and used quickly if necessary. The .375 is considered to be the best caliber to use for big game in the northern regions of North America such as Alaska. It delivers a lot of kick, but a lot of power too–much more than the .300 Win Mag or .338 varieties. Don’t mess around with a bear rifle. The Guide Gun is inexpensive and capable. Long range hunting has reached a new level with the 6.5mm, 338, and 300WM. Ballistics and bullet weights are reaching out farther and with more energy than ever before. Longer shots require more accurate rifles however, and Bergara rifles have a sub-MOA guarantee. Their trigger, bedding and accuracy out of the box is outstanding. The craftsmanship on the stocks, and smoothness of the action makes them some of the greatest rifles under $2000. The HMR (Hunting & Match Rifle) in particular, features a 3lb trigger, adjustable stock and a detachable 5 round magazine. The Spanish steel barrel has unequaled accuracy for the price, while the action accepts Remington 700 rings and bases for long range scopes. This rifle is the Remington 700 for the new century. Difficult to find in gun stores. The Bergara HMR is the rifle to shoot long range without breaking the bank. If you are looking to shave a bit more weight the B-14 series will give you great performance at a low cost per round. If you are ok spending a bit more, their Premier Series will give you a custom gun performance without the custom gun price. Before purchasing any firearm, check state and local laws for owning and using firearms. Some states have magazine allowances, while others use caliber limitations for hunting. Nearly all states use different seasons for different types of hunting, including bow, rifle, shotgun and muzzleloader. Ignorance of the law is not an excuse. 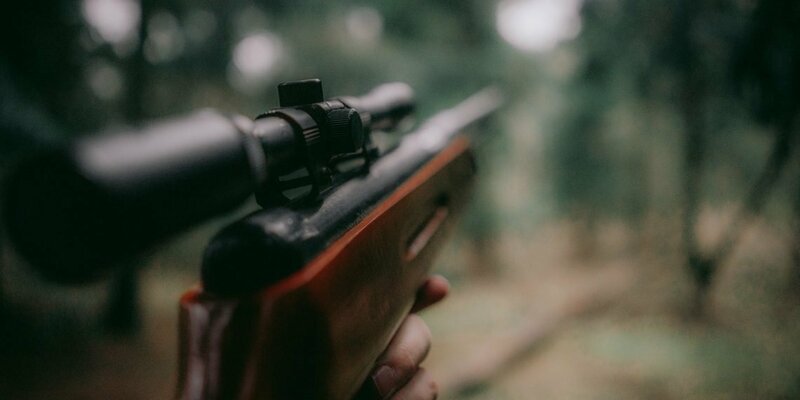 The consequences of hunting violations can involve hefty fines, lawyer fees, the forfeiture of your firearm, and prohibition from purchasing or using firearms in the future. Check your state and local firearm laws before you hunt! Whether you are stalking, still hunting or shooting long range, if you want to be successful as a hunter you need to great out and away from civilization. Hunting less pressured areas yield bigger, higher density and are safer. Hiking out to your favorite spot with 60 lbs of gear is never a fun trip and getting back with your kill is going to be worse. Picking a nice rifle that has been on a diet just improves your life. Hunting rifles average about a 1.5 MOA accuracy with hunting round at the $1000 price point. Accurate shot placement is more important than caliber but finding the right blend of range, accuracy and stopping power is a art in itself. Long range hunting requires more accurate equipment, and higher skill levels. Unfortunately you can’t buy skill, with better gear you can have more accurate gear. Everyone has a favorite caliber for hunting check out our caliber review for a complete breakdown on the best calibers. Rifles are just one aspect of the hunting experience, optics, bipod, laser rangefinders, shooting sticks and other accessories are both useful and needed for successful hunts. What’s the most popular hunting rifle? Remington 700, this rifle has been the rifle for a long time because of the versatility accuracy reliability and it is available everywhere. In 308, 30-06 or 243 it is a great deer rifle, hog rifle, coyote rifle and accurate out to 300 yards. Other Remingtons fall into the same category, many cost less. Is there one best rifle? Best is subjective. The best rifle is the one that makes you confident in your shots. You and your rifle should be able to shoot 1.5 MOA with your hunting load. It should weigh less than 10 lbs. It should be in a humane caliber. And most importantly you should feel great with it in your arms. Can a rifle actually be too light? A rifle can rarely be too light. The drawback is recoil, reliability and durability. A 5lb 308 will kick significantly harder than a rifle twice the weight. Low weight is a factor in Durability because the parts have less wear mass. Reliability is changed when you change the weight of the action significantly. Can you hunt with an AR 15? AR 15s, aptly labeled “modern sporting rifles”, are lightweight, accurate rifles, and are used by many hunters in lots of different types of hunts–hog hunting, varmint hunting, coyote hunting and more. The AR-15 and its brothers the AR 308 and AR 458 are the modern muskets. Accurate as Kentucky rifles and versatile as a Leatherman. They are available in several calibers (over 30), and changeable without a gunsmith. Weight shedding and improving accuracy is simple for anyone that can use a wrench. Mounting optics is also easy, and helps to make this rifle a joy to shoot. In short, yes. Lots of people hunt with ARs. Check your local laws and see if you are able to. What is the best optic for a rifle? The best optic is going to depend on you and your rifle. The standard is 3-9×44 but it is slowly changing to a 3-15×50 for longer range rifles and better shot placement. Expect to spend as much on your optics as you do on your rifle. See our Scope buying guide for a comprehensive review of the right scope for your rifle. Ultimately finding the perfect rifle is down to personal preferences. Gear Lobo always preaches that the gear isn’t the most important thing. Guns don’t lose value so trading up is always a great option for hunters and sportsman. Stay safe and have fun out there.